With a strange and twisted B2B-ish guerrilla campaign, Travel Booster, a software solution for airlines, travel agents and tour operators, has launched More Than Just A Flight. The campaign features a fake travel company and a fake CEO of that company. 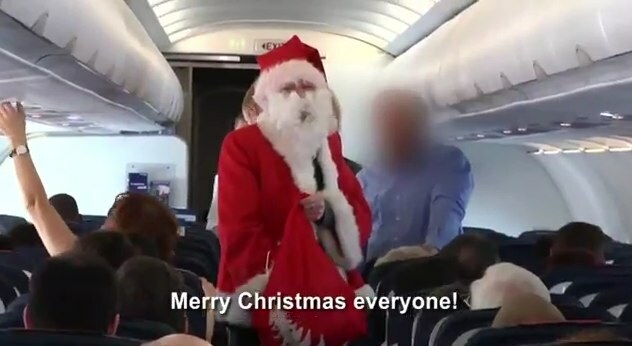 This fake CEO is seriously strange ("we're the Chuck Norris of traveling") but the campaign puts him on a flight where he changes into a Santa Claus and gives passengers presents. It's all an allegory for Travel Booster which can provide airlines and other travel businesses to sell more than what's just their main line of business.